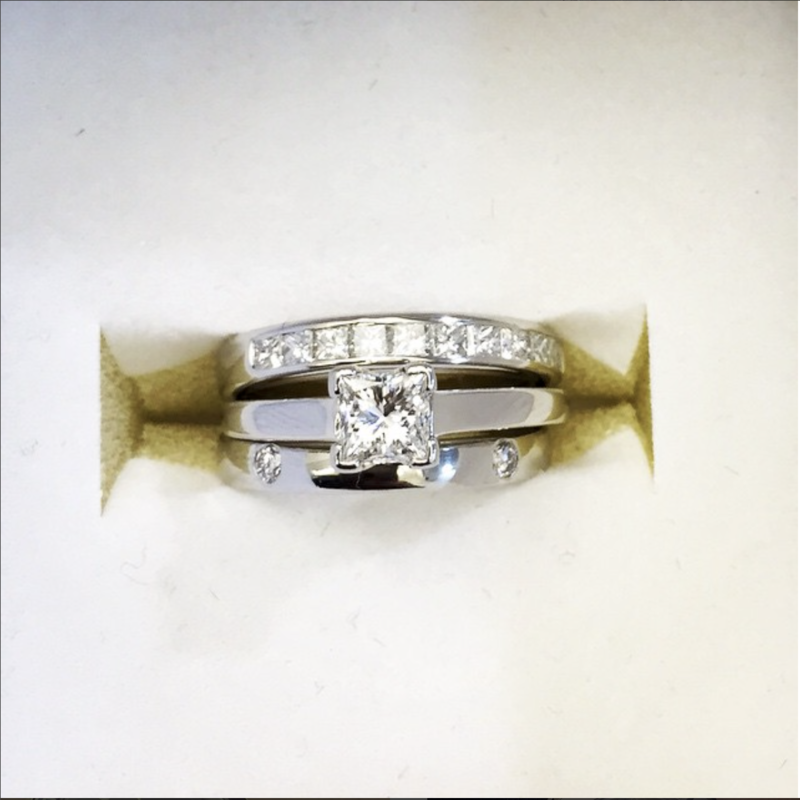 A question we are asked on the regular at Heart Of Gold is.. What goes first the wedding band or the engagement ring? Do you put the engagement ring on first as you were engaged before you were married? Or do you put the wedding ring on first so its closest to your heart? Or because you put the wedding rings on to say " I do " and then the engagement after. Does it mean thats the way it should be worn? All very confusing and we haven't even added in the eternity ring yet. JHEEZ. 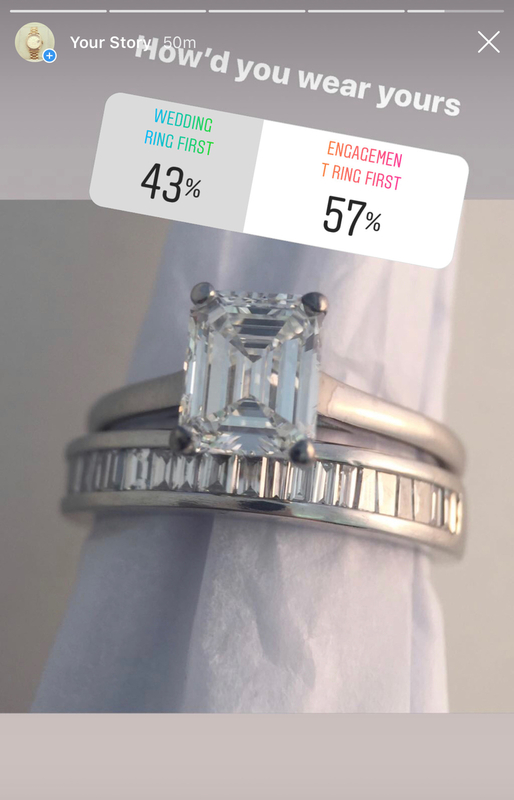 Wedding etiquette would suggest that you move your engagement ring onto the right hand for the wedding ceremony and once the wedding band has been put on it should stay there, closest to your heart. 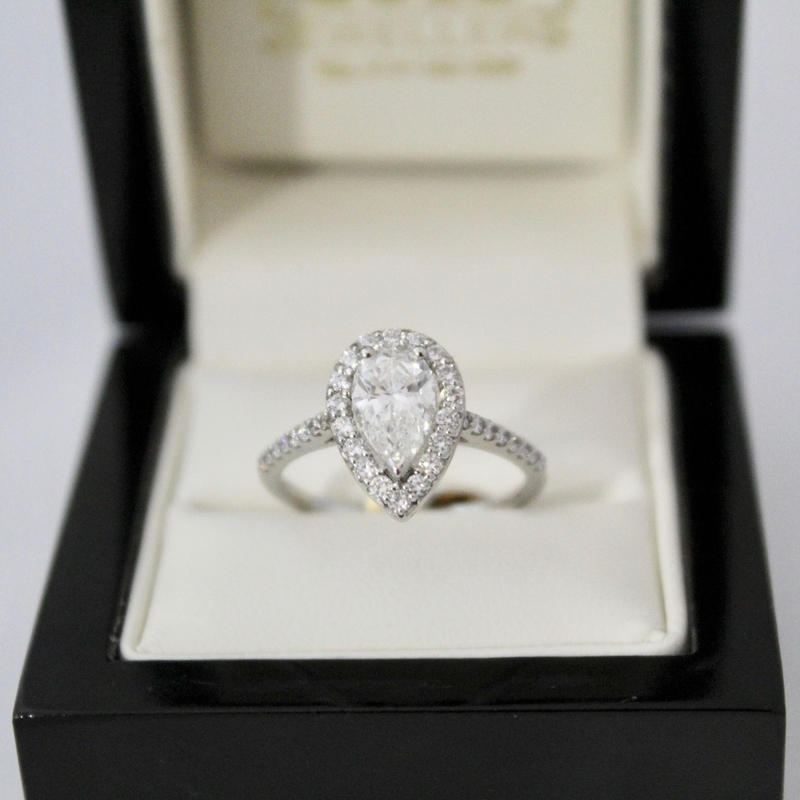 The engagement ring should now be moved back to your wedding finger and stay there unchanged, forever. You may be wondering how they decided on which finger to make your wedding finger and then again you may not. BUT... seen as we have came this far I will tell you anyway. See the third finger on your left hand. Aye that one. It has a vein which leads directly to the heart apparently so naturally that would be the perfect finger to take on the role of the wedding finger. The final piece of the wedding puzzle. The eternity ring or infinity ring was normally given to mark 35 years of happy marriage, or just 35 years of marriage we added in the happy part. A few bits of this information we would query. Firstly we wouldn't hold any customer willing or wanting to buy their better half one of these eternity rings to any sort of 35 year time frame. I mean my wife has hers already and we've only been married 5 years. Secondly we all know what eternity means, FOREVER. So you may as well get it bought and out the road pronto. Keep yourself in the good books. Etiquette Or Load Of S**t.
So you have three rings. Wedding ring, engagement ring & eternity ring. You are probably more confused now than when you started reading this, thats even if you made it this far. So in search of a definitive answer we turned to the real experts, our instagram followers. Here's what they thought. So rock it how you want we're not going to judge. So long as you buy the rings from us, (joke), (not really).